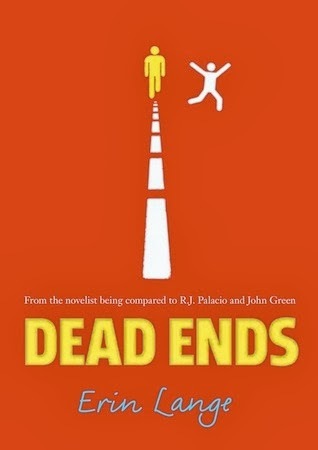 Dead end is the story of the unlikely friendship between Dane and Billy D. Dane is the local thug, at risk of permanent expulsion from school, and BIlly D is a teenager with Down's syndrome. I loved that this book had a main character with a disability and I loved how it challenged perceptions and quick judgements society makes of people who have such disabilities. We need more of this in YA fiction please. I loved seeing how the friendship between Billy D and Dane develops over the course of the book. To start with Dane is having none of it and treats Billy D poorly but as Billy works his magic Dane softens to him and a strange friendship develops. I loved seeing how they interacted and they they learnt from one another. I particularly enjoyed seeing how Dane changed as a result of his friendship with Billy and how much he learnt from him. I also loved how Billy wasn't portrayed as a weak victim of a character which do easily could have happened had this book not been so thoughtfully and insightfully done. All in all a fab story with a brilliant relationship at its heart which draws you in from the first page. Highly recommended.